It’s the car that everyone is talking about. 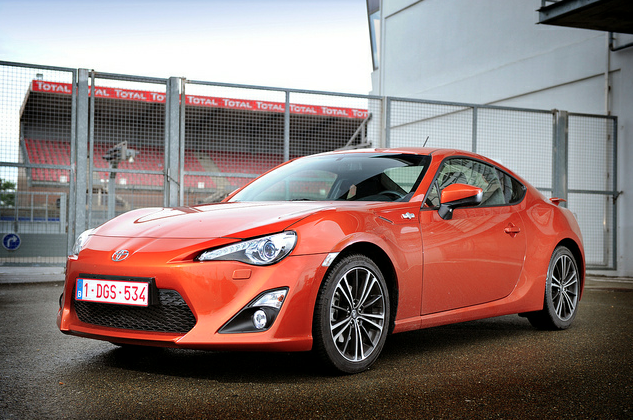 Our GT86 will be the not-to-be missed feature of Toyota’s Goodwood activities from 28th June. The car is set to appear the same weekend it officially goes on sale, and to celebrate we are planning a very special display. We will bring a never before seen range of different GT86’s together for the first time. At the core of the display will be three versions of the standard GT86 model that will be on show at the Toyota Stand during the event. One of the first beautiful new coupes recently arrived on UK soil having been driven over 1,000 miles from Barcelona to the Toyota base near Epsom. We’ll also have the Gazoo Racing GT86 on show for you, fresh from the Nurburgring and still in its racing livery. 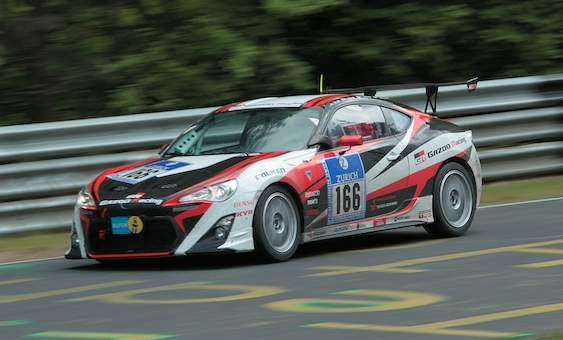 One of the hardest races on Earth, the Gazoo GT86 performed well with class wins at the 24 hour race. It’s a car that’s sure to draw a crowd when it makes its first run up the famous Goodwood hill. The line up will also include the UK debut of the Gazoo GRMN 86 FR Concept – which gets a 320bhp supercharged and turbocharged engine. This is yet another first for the GT86 and we can’t wait to see the car over here in the UK at Goodwood. While we are looking at modified versions of the GT86, we’d better show you another, this time kitted out with official accessories from Toyota Racing Developments (TRD). To show just how good these made-to-measure features look, the TRD-prepared GT86 will be in action at the Festival of Speed. Larger wheels, wider tyres, aero body parts and a sport exhaust are among the exciting add-on elements TRD has already revealed for GT86 at the Tokyo Auto Salon, anticipating a big demand from owners who want to make their Toyota all that more special. For details of the standard model, available to order now, click here for the Toyota GT86 Car Chapter. Update 14/06/12: Breaking news! 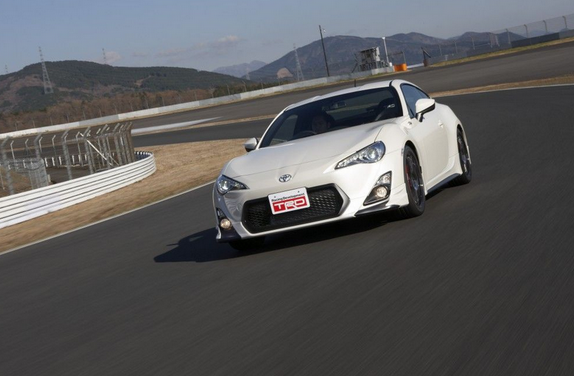 We can confirm that TRD accessories will be available for GT86 in the UK early next year. Please stay tuned to the blog for further updates as they are announced. Great news about the TRD bits..
oh well, what’s another two months i suppose.. I ordered one bout April this year first it was beginning of July now been told end of July how do you know yours will be late august? I rang the garage yesterday and the delivery date for mine is on the Toyota order system now – it states it will be with me around the 20th – 24th August. Might be worth checking yours for a confirmed date? i thought there may have been a delay with my order because of the spec i wanted, but that’s why i ordered/paid deposit in December to get it in nice and early.. made no difference obviously. It’s all good though, im just a little bitter as i’d sold my weekender in anticipation of getting it soon, so am now without a nice car to play in! >> Oh yeah, huge thanks Toyota for the Goodwood competition on the website. My order is also in white, plus flappy paddles, heated Alcantara seats and the Sat Nav upgrade too (Touch and Go). It’s the same white as the TRD pic above, same white as as the ‘Scion FRS’ which may be worth a google for lots of pics – saw it yesterday and it looks fantastic (best colour!).. pictures dont do it justice though. I got to drive the GT86 up the Goodwood Hill, and you’ll love it im sure.. brilliant car, so precise. impressed with everything. Roll on delivery. So with the TRD GT86 being shown does this mean TRD parts will be available on the options sheet/through dealerships? Great news, we can now confirm that Toyota GB is currently looking at offering a range of GT86 TRD accessories for sale in the UK early next year. Further details are not available at the moment, but we’ll update you as soon as we know more.